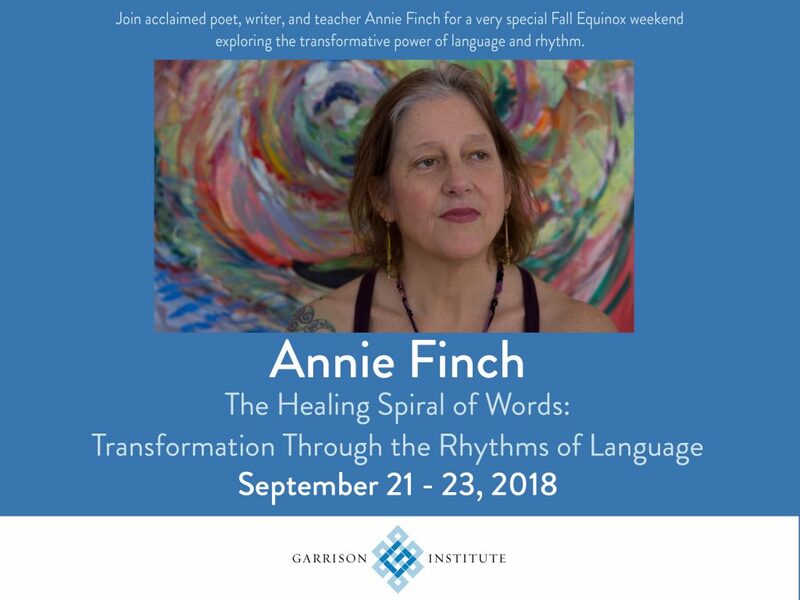 Join BEI Emeritus Fellow, Annie Finch in her weekend retreat on the healing rhythms of words September 21-23 at the renowned Garrison Institute. The Healing of Spiral of Words: Transformation Through the Rhythms of Language combines the powers for writing, rhythms, and self-exploration. It is a deeply transformational path to discovering and integrating the wisdom of mind, body, heart, will, and spirit. Writing will be supported with drumming, chanting, art, and movement. No writing experience necessary, however workshop will be very beneficial to poets, writers, and yogis. By the end of the workshop, everyone should have discovered personal talismans of sacred language and acquired a versatile set of tools that can be used to heal and process other issues going forward.